“Donald Trump is a nightmare boss,” said Michael Brendan Dougherty in NationalReview.com. The president demands absolute loyalty from his political hirelings. Yet the moment he feels cornered, he gleefully humiliates those same supporters to “redirect all the blame below.” Ditching Sessions won’t “help Trump in the longer run,” said David Graham in TheAtlantic.com. 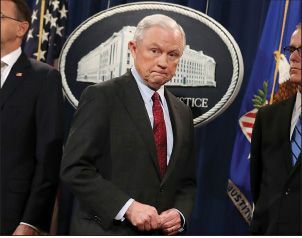 If the president succeeds in interfering with Mueller’s Russia investigation, it will only increase suspicions “that Trump has something to hide.” Besides, after the way he’s treated Sessions, who could Trump ever persuade to take the attorney general’s place?